2016 trends are full of heat and colour with brightly themed flower beds, accessories and garden ornaments and hot new outdoor products! It’s all about guilt free relaxing in 2016 with lot’s of eco friendly products making a big impact from the Australian ‘EE-I-EE-I-O’ Upcycled ornaments to the ‘no more wood’ decking options of Evolution deck boards which are made from a unique blend of recycled hardwood and polymer, yet look and feel just like real wood. The Watex international range of expandable vertical green walls with built-in Irrigation system means less bending and can transform any vertical space into an eye-catching green wall. 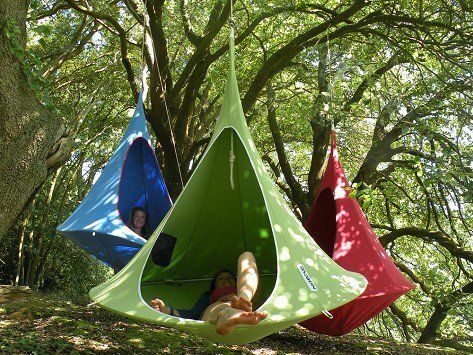 Evoking thoughts of tropical climates and holidays the new craze for cacoons is sure to continue – these ‘tree tents’ are part swing chair, part hammock and part hanging garden seat! Available in a variety of bright colours and three sizes these durable and weatherproof canvas fabrics, which have been treated for mold-resistance and UV protection, are the brainchild of UK based husband-and-wife team Nick and Sarah of UK-based Hang-In-Out LLP. 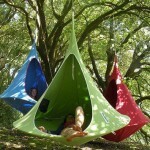 We also love the Parachute Hammock from Ireland based Hammockology. 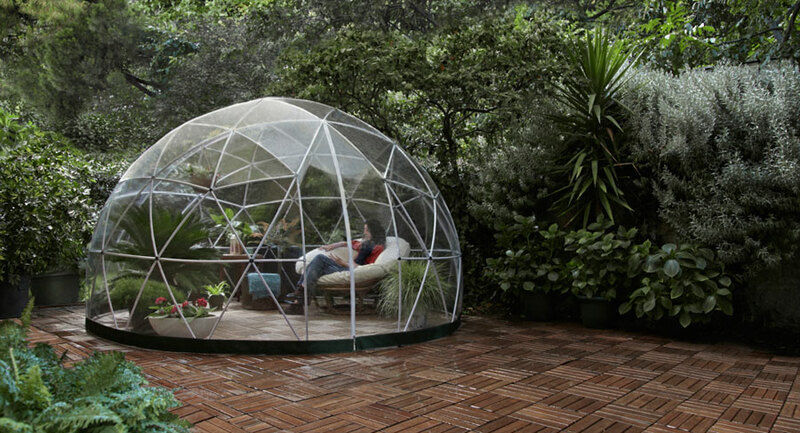 How about this for outdoor style – the garden igloo is a contemporary take on the old fashioned greenhouse and can also be used for relaxing outdoors whatever the weather! The Garden Igloo is both weather-proof and rust resistant, 100% recyclable, can be used all year round and is set up without tools in two hours. With its two seasonal covers, it provides shade when it’s too hot and keeps out the cold while you’re waiting for summer to arrive – as a play area for children, storage area, garden shelter, greenhouse, jacuzzi cover or pavilion. More of our favourites include the RockinColour™ Innovative Stone range which can be used to bring an exceptional amount of colour and texture to any project, the Green Digit ‘SeedCell’ – a fun, clever, and waste-free way to plant seeds and the 3 Pattern Spray Ball from Draper Tools – the adjustable nozzle gives three types of spray pattern: mist, jet and cone. Here’s to a long hot and colourful summer in 2016! 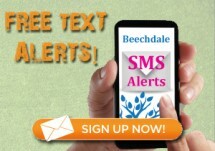 Follow Beechdale Garden Centre’s board 2016 Gardening Trends on Pinterest.